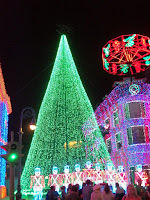 News broke at the end of last week that this year would mark the 20th and final season from the Osborne Family Lights. Since 1996 these lights have been a staple of the holiday season inside Disney’s Hollywood Studios. There is a history with these lights, one that predates their time with Disney, and an almost mythical quality to their quantity and quality. While it is true that Walt Disney World has added to and upgraded the technology of the display over the past 20 years, the addition and changes to this pageantry of Christmas lights and displays have been minimal. In 1986 Jennings Osborne’s daughter asked for their house in Little Rock, Arkansas to be decorated with 1,000 Christmas lights. The lights multiplied over the next several years until in 1993 the Osborne home and grounds were decked out with over 3,000,000 lights. Neighbors who felt there was a little too much holiday spirit were able to get a judge to issue a schedule for when the lights could be turned on and when they had to be off in 1994. When this court order was violated, the state Supreme Court ordered the lights to be shut off permanently. 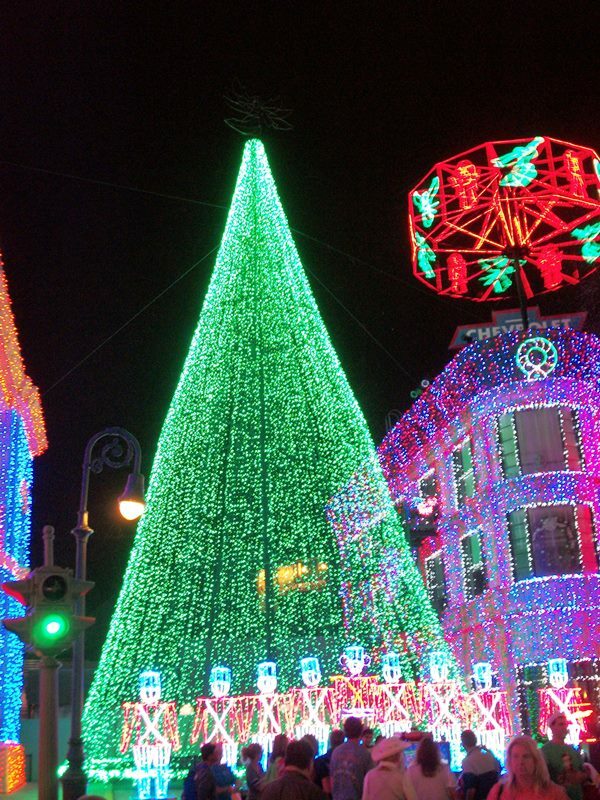 To make sure the world could still enjoy the lights, Osborne arrange for the lights to head to Walt Disney World. 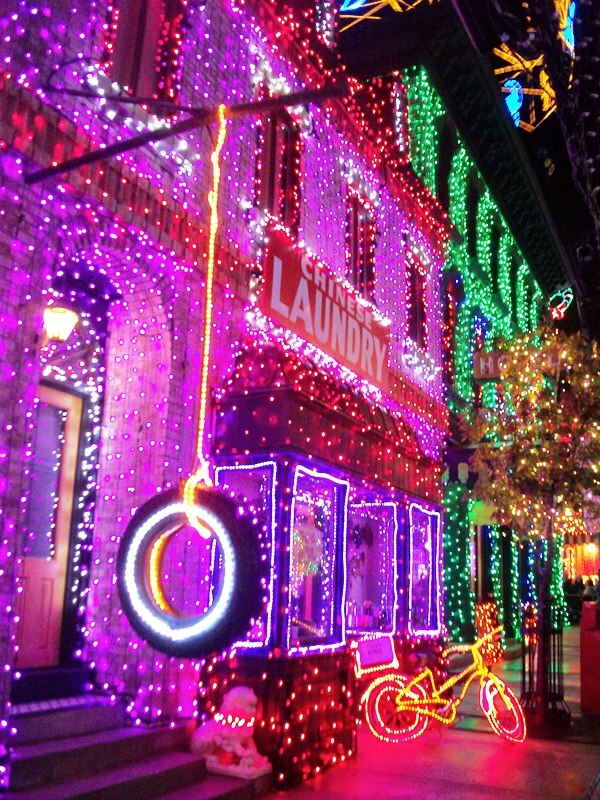 When they arrive at Disney-MGM Studios in November of 1995, the Osborne Family Lights first called Residential Street their home. It was here along the eaves and lawns of the local residents, such as The Golden Girls, that the sheer number of bulbs that were being displayed practically overwhelmed their surroundings. With the closure and subsequent demolition of Residential Street’s facades in 2004, the lights found a new home, the Streets of America, where the displays could stretch out to be as tall, or taller, as they were wide. The addition of light shows choreographed to Christmas tunes only added to the already awe-inspiring display. The holidays in my house have always been a struggle between my wife and I. She wants our house to stand as a testament to timeless Christmas spirit, complete with white lights on the tree, simple garlands around the house, and a few displays upon our lawn. For my part, I would love for our house to stand as a testament to the timeless Christmas spirit, complete with colored lights on the tree, the house, the bushes, and anything else in the lawn. Basically if I can put a light on it, it should have rainbow lights on it, and a tasteful train around the bottom of the tree. This likely explains my unabashed admiration and wonder at stepping out into the Streets of America and seeing the Osborne Family Lights covering up everything in sight and illuminating the night with strand light and merry songs. A winter trip to Walt Disney World wasn’t in the works for the missus and me this year, but we may have to find a way just to thank the lights one last time. I will miss them, that much is certain. When the announcement of lands dedicated to Star Wars and Toy Story dropped last month at D23 it was safe to assume that the Streets of America would soon have new tenants. It may have been naïve of me, but I had believed that Walt Disney World would find a new home for the lights, even if it wasn’t inside Disney’s Hollywood Studios. Decking the halls out of the Hollywood Boulevard, Echo Lake, and Sunset Boulevard areas of the park was my first notion. But who knew, I thought, perhaps they could make their way over to Fort Wilderness and take on a new life in a resort that is already known for its guest-made Christmas displays. Perhaps the real question facing the Studios now is what will become of its Christmas spirit? There will undoubtedly still be the lamppost and building decorations, the tree, and the music in the air, but where will the over-the-top spectacle be found? I cannot imagine that a park which is in the middle of reinventing itself won’t take this opportunity to reignite their dedication to the holiday season. Maybe guests will get a new fireworks show booming over the top of the Great Movie Ride, utilizing sound clips and scores from some of our favorite holiday classics. A little It’s A Wonderful Life mixed in with some Prep and Landing, or White Christmas intermingling between Love Actually, Elf, and Miracle on 34th Street, with all of it leading into a finale kicked off with the immortal words of Tiny Tim. Who knows, it’s too soon for us to tell, but if the Osborne Family Lights taught us anything it is that we can never dream big enough. 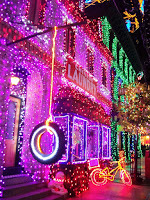 If you head out to Disney’s Hollywood Studios this winter make sure you take some time to stop and catch the lights. Search high and low until you find the black cat Halloween decoration that accidentally got included in the displays the Osborne family sent over to Walt Disney World, find the leg lamp, and make sure you have a great spot for one of the light shows that features the music of Trans-Siberian Orchestra. Soak in as much as you can, because in that moment you are living in someone’s Christmas wish.